Carleen Carroll, APR, FCPRS is an accredited strategic communicator and government relations expert widely recognized for taking a 'big picture' approach to building lasting, trustworthy relationships through two way communications. Carleen has lead award winning teams and influenced direction in government, banking, consulting and the telecommunication industries. She is a subject matter expert in developing an organization's communications capacity from the ground up, in stakeholder relations and public consultation, and, in managing competing issues to develop public policy. 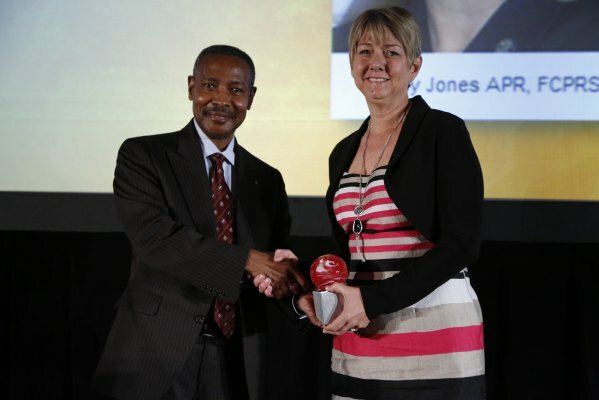 Much of her work in strategic communication planning has been cited for "best practice" innovation. Carleen is a sought after and acclaimed public speaker on the topics of delivering excellence in communications and public engagement. 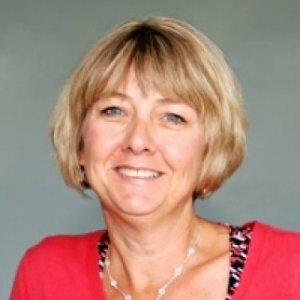 She is an active member of the CPRS Hamilton Chapter and is currently the Ontario regional examiner for the national Canadian Public Relations Society Accreditation in Public Relations designation. In 2007, Carleen was the recipient of the Canadian Public Relations Society Hamilton Pinnacle Award for Communications Management. In 2011, Carleen was the recipient of the Canadian Public Relations Society Hamilton Mentorship Award. In 2009, Carleen was the recipient of the Canadian Public Relations Society Hamilton Award of Merit for Writing. In 2009, Carleen was the recipient of the Canadian Public Relations Society Hamilton Pinnacle Award for Communications Management and Social Marketing. In 2011, Carleen was the recipient of the Canadian Public Relations Society Major Award for Excellence in Government Public Relations. 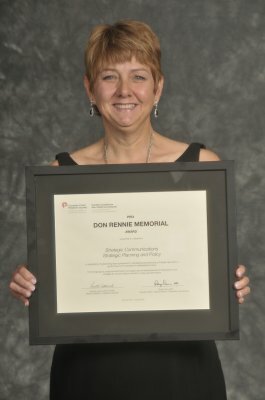 In 2003, Carleen was awarded the Canadian Public Relations Society Award of Excellence for Issues management for "Homeless in Halton: Building an Understanding". This project was also awarded a CPRS Toronto Ace Award in the crisis/issues management category. A unique perspective on this crucial business imperative, some direction on the role of the PR practitioner in driving ethical behaviours and practices, an actual tool for self-assessment, current data and recommendations for the practitioner and management, and a case. In this presentation, you will learn how research makes an organization more strategic and allows for better two way engagement with stakeholders. A lighthearted but informative session will provide with tips, techniques and survival strategies and guiding principles for successful media relations.